Does the economy have you down? The stress of the holidays getting to you? Tired of getting off work at 5pm to find its dark outside and you missed the daylight? Then cheer up! 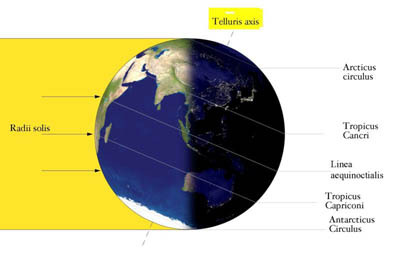 As of today (in the Northern Hemisphere) at 12:04 UTC (8:04AM EST) the days will grow longer and the nights shorter until the summer solstice, when the trend reverses. Lots of cultures around the world have celebrations this week, and have been doing so since humans started keeping track of the seasons. Comments Off on Happy Winter Solstice!